Kumu Hula Paul K. Neves is a student of the late Kumu hula Wayne Kaho’onei Panoke, who in turn was a student of the late kumu hula Winona Beamer. He opened Hālau Ha’a Kea o Kinohi in 2004 with schools in Hilo, San Francisco, and Kyoto, Japan. 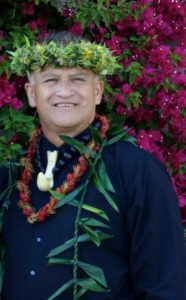 Kumu Paul is a cultural practitioner of the traditional ways of the Kanaka Maoli, who emphasizes aloha as a lifestyle, ‘ohana (family), alaka’i (leadership/ discipline), and lokahi (unity), as the core of communal expression. 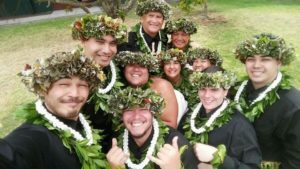 Kumu Paul’s purpose is to lay a foundation of aloha with the goal of making a difference in the world today through the practice of Hawaiian culture and values. This performance is part of a year-round series sponsored by the Volcano Art Center. For the series, hula halau from across Hawai`i and beyond are invited to perform each month in a one-of-a-kind outdoor setting at the kahua hula (platform) in the Hawai`i Volcanoes National Park. This presentation will be presented authentically in an outdoor setting, rain or shine without electronic amplification. Audience members are encouraged to bring sun/rain gear and sitting mats.